There is nothing inconsequential that is happening in the tech scene, and it’s safe to say that the previous year is a solid testament to that. If you’re familiar with the tech-paranoia anthology Black Mirror, chances are you’ve already seen their smartphones which flaunt literally an all-screen display. 2019 might see the same display setup, since the tech scene has seen enough of different types of notches last year. This year, we’re seeing more smartphone brands following what Chinese smartphone manufacturers Oppo and Vivo did -- smartphones with simple, bezel-less, and a real all-screen display. Apart from being excited about smartphones with real all-screen displays this 2019 we can also look forward to seeing foldable screens. This is in addition to the already existing dual display technology. And since more screen means less space to put different hardware, upcoming smartphones will carry face unlock technology and in-display fingerprint unlocking. As we’ve mentioned, 2019 will be about bigger screens, which equates to the need for bigger battery capacity. So we expect more smartphones with even larger stamina which can be fueled faster and more efficiently since fast charging technology is also expected to become mainstream this year. Micro-USB connectors will be a thing of the past because with fast-charging technology taking the limelight, USB-C ports and Bluetooth will be the standard for most smartphones. With Apple introducing wireless listening with the iPhone 7, 3.5mm jacks will also become extinct to bring Android users the same music experience. Smartphone manufacturers are sure to bring better configurations in terms of the internals. With Android obviously the dominant name for operating systems, smartphone manufacturers will bring more attention to regular android updates. We also expect heightened security to reach consumers since 5G rollout is slated to commence late this year, although this will not yet be a main consideration for purchase. The battle for the top spot in the smartphone department will benefit consumers even more, since this will mean that more brands are compelled to bring devices that are competitive despite an affordable price. With this, upcoming smartphones tagged at sub-PhP 10,000 are expected to carry an onboard storage of up to 128GB and even more. For the high-end smartphone department, it is very likely that we'll be seeing smartphones concealing 10GB of RAM, and who knows, by the end of this year, we'll also be welcoming smartphones running on 12GB of memory. Entry-level and low-end smartphones, on the other hand, are most likely to carry 3GB of RAM out of the box, from the usual 2GB of RAM. Asian companies will also remain to be the top players in the smartphone market, with Chinese firms bringing more powerful chipsets to the market. However, with even more players entering the competition to remove chipset dependence on Qualcomm, we’re expecting more fast processors sold at lower price points. With smartphone cameras clicking essential breakthroughs every year, we expect the year 2019 to be another year for camera-centric devices. With most manufacturers competing on how many cameras a device can hold, expect more smartphones to carry more than five cameras around second half of 2019. Another thing to watch out for this year is the emergence of wearables, particularly smartwatches. While most of these devices were introduced for fitness functions, this year, smartwatches are expected to deliver more, making them extensions of your smartphone. We’re looking forward to see more smartwatches that allow answering calls, quick message and email replies, and basically every simple thing that can be done using smartphones. For consumers, it is always important to always seek for a worthy purchase no matter what the trend is. With e-commerce becoming a widely-used means of purchasing goods, every consumer must have a trustworthy go-to online store. 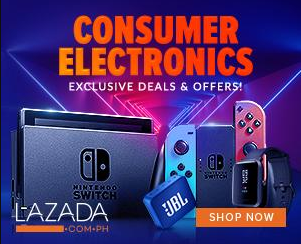 With a strong value for consumer trust and authenticity, Argomall is an online shopping hub which sell only authentic smartphones from brand manufacturers and official distributors. All products bought from Argomall always come with an official Philippine warranty, invoice, and receipt. 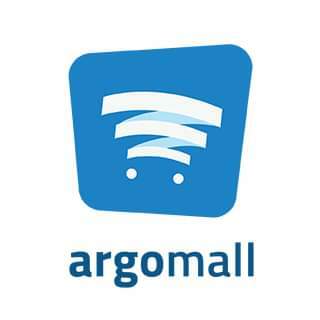 Established by its innovative founders in November 2015, argomall.com was born out of a creative dream by Filipino-owned conglomerate Transnational Diversified Group to deliver trustworthy and efficient solutions to the discerning Filipino tech shopper.